I hadn’t heard much about AMS Performance before, but after I photographed their Alpha 12 GT-R I’m very impressed with their vehicles. 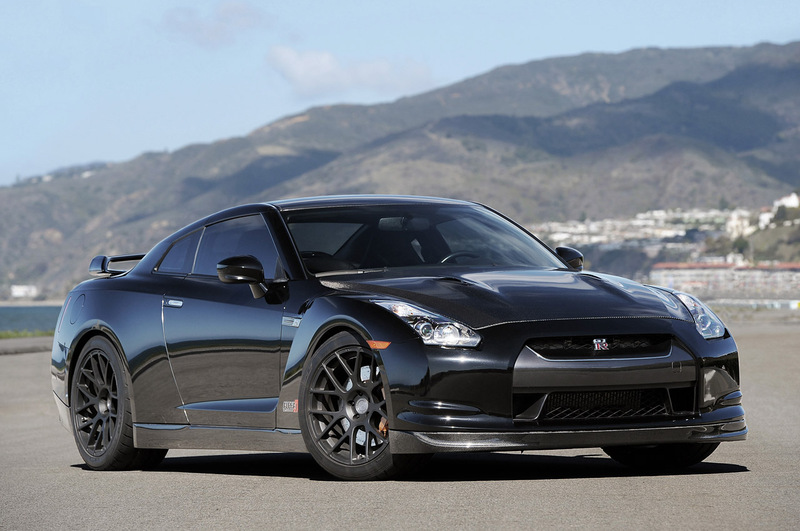 The modified Nissan GT-R has 1,500 horsepower, can run the quarter mile in less than nine seconds and is fully streetable. You can see the full set of photos and a review of the car over at Autoblog.com. 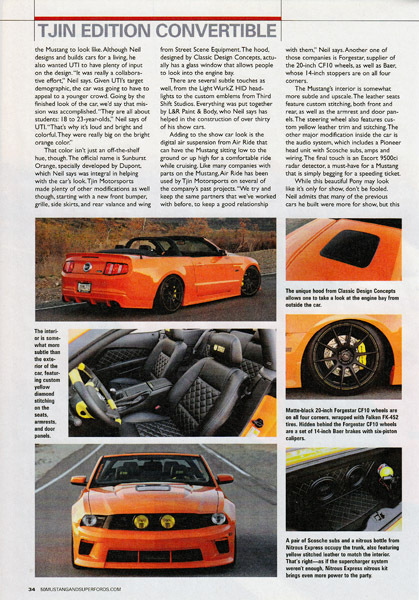 In addition to having the cover of the 2005-2013 Mustang Performance magazine put out by 5.0 Mustang & Super Fords I also had this feature inside the magazine. 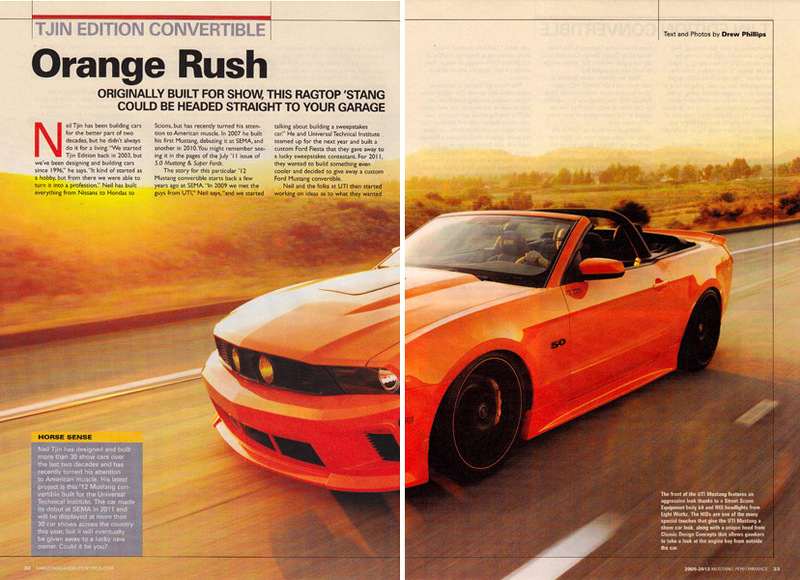 The Mustang convertible is built by Neil Tjin, a name that is becoming common with many of my photoshoots. 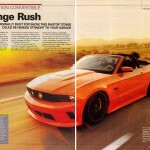 It appears that as quickly as he builds cars I photograph them for magazines. 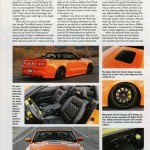 You can see screenshots of the article below. 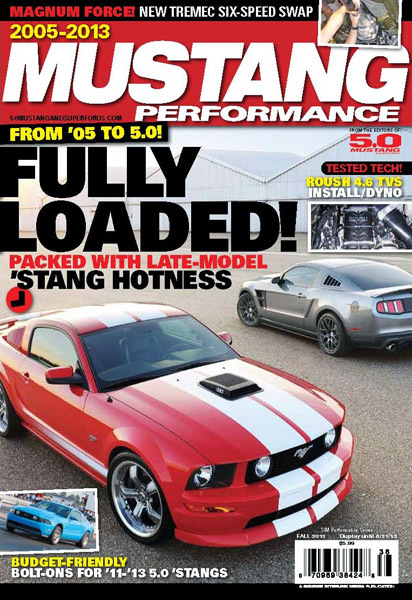 5.0 Mustang & Super Fords magazine occasionally comes out with special issues that appear on newsstands only, and for this latest one, featuring the 2005-2013 Ford Mustang, they asked me to provide the cover image using two cars. In general photographing two vehicles is much more difficult than one, but because all I needed was a shot for the cover I had plenty of time to set up the cars for the perfect composition. You can see the magazine on newsstands now.